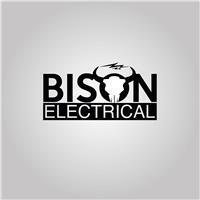 Bison Electrical Limited - Alarms/Security, Electrician based in London, Greater London. At Bison-electrical, we have over 25 years-experience in the industry and are certified by the NICEIC as an approved contractor. Our company strives for excellence and its continual growth is based on the foundation upon which we started -our commitment to exceed the expectations of every customer whilst providing efficient, honest and high quality service. We are comprised of a team of knowledgeable electricians with a diverse range of special installation capabilities and can undertake all types of work within the residential, commercial, industrial fields. Any work on your electrical systems will be undertaken using the latest working practices and comply with British Standard BS 7671 (IEE) standards to meet safety regulations. Whether you would like to change a socket, are in need of an electrical test inspection, require a full rewire or would like a bespoke lighting design service, our capabilities enable us to offer a complete solution for clients requiring electrical expertise.